The San Diego Automotive Museum will be open our regular hours. No eggs here, but we have some awesome cars! 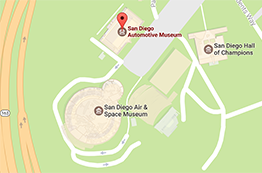 The San Diego Automotive Museum will be closed for Earth Day. Enjoy Earth today!